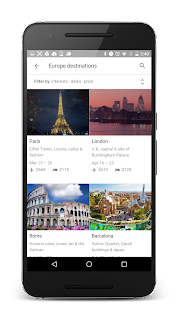 Google Search can now help you plan your holidays thanks to a new feature called Destinations on Google, which even provides itineraries.A new feature called Destinations on Google that may make holiday planning a touch easier. 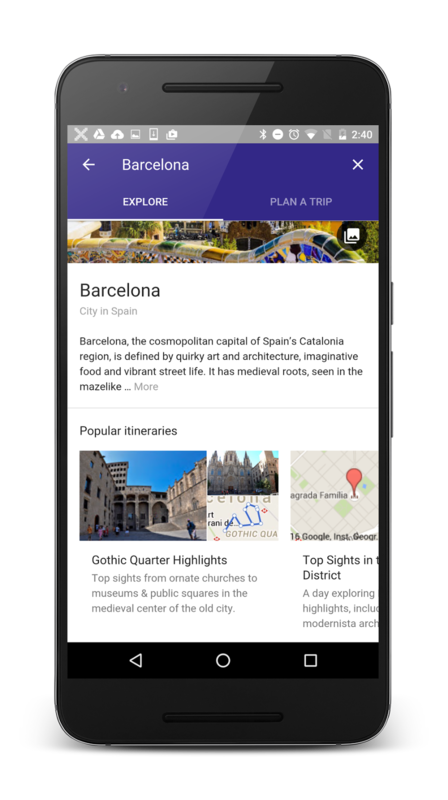 This feature will appear in mobile searches, helping you to get inspiration for your next trip. For example, if you search for "European vacations," a grid of major cities will appear with details like how much it will cost to get to them and the best times of the year to go there. If you have a specific city in mind, searching for it will present you with the option to open Google's new travel guide. A typical Destinations page features two tabs. One helps you find out more about the location with photos, videos, and a general description. Perhaps most usefully, it also provides itineraries. There will be curated itineraries for 201 cities at launch, often with more than one itinerary per city. The second tab assists with the more boring, but essential part of travelling: finding and booking flights and hotels. 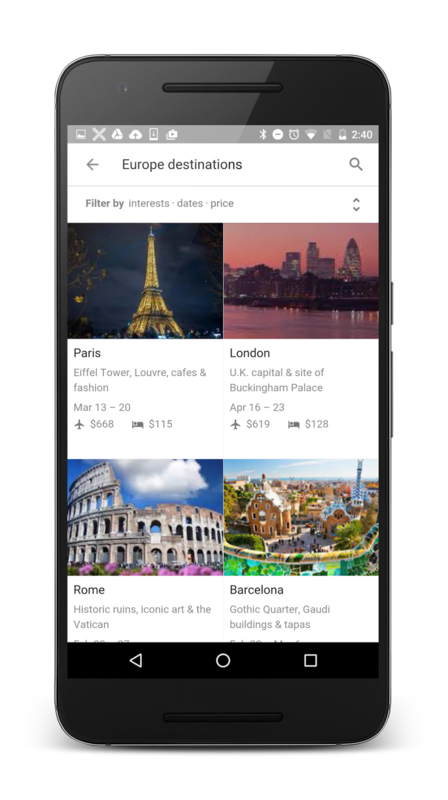 It basically combines the features of Google Flights and hotel search, though you'll still have to go through specific company websites to make the final booking. This is a mobile exclusive product, as Google is seeing a large amount of travel-related search occurring on mobile. If you plan holidays on your PC, you'll either have to change tactics, use your mobile as a companion, or continue doing all the ground work yourself.